Each week, Fill Your Plate will highlight a different crop grown in the United States. This week, we highlight apples. It may surprise you to learn that they are grown right here in Arizona! For delicious recipes for your locally grown apples, see our list of apple recipes on the Fill Your Plate Recipe page. 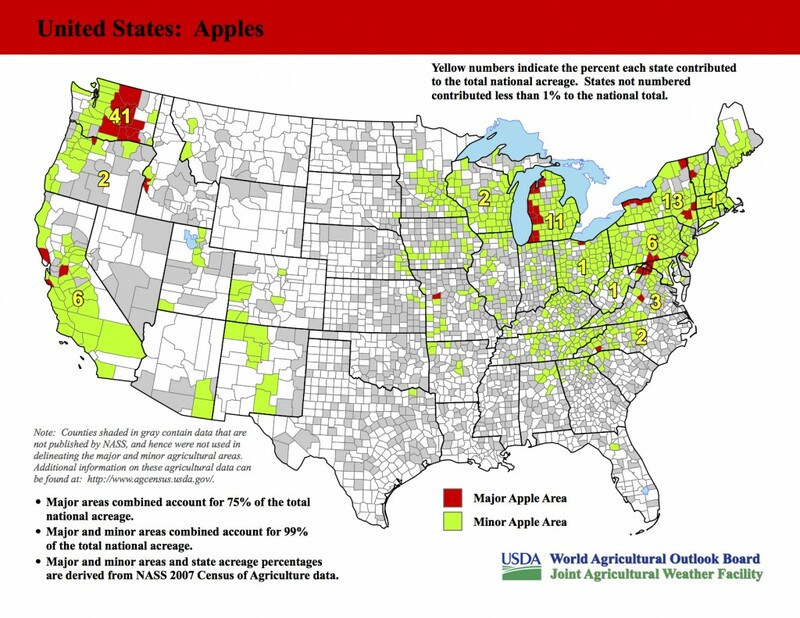 You can see a list of our Arizona farmers growing apples here. This entry was posted in Focus on Agriculture and tagged apples, Arizona, China, cotton, India, Pakistan, recipes, South Africa, United States, United States Department of Agriculture, usda. Bookmark the permalink.